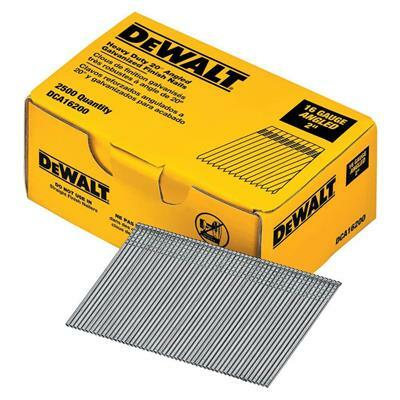 The DEWALT DCA16200 2 in. 16-Gauge 20-Degree Angled Finished Nails (2,500-Pack) are designed to cover all interior finishing applications. The range of applications for the production trim carpenter, whether it is installing window and door casings or crown moulding and cabinetry, Dewalt 20-degree angled nails will provide high holding power and ease of drive.